The Business Process Services (BPS) market is being buffeted by strong winds of change. Multiple digital elements are disrupting the status quo in the supply as well as demand landscape – enterprises are expecting not only mundane cost reduction but also next next-generation benefits from their BPS relationships; and service providers are recognizing that they need to pivot quickly from the traditional labor arbitrage-driven model to a digital-powered one to provide those benefits to their buyers. 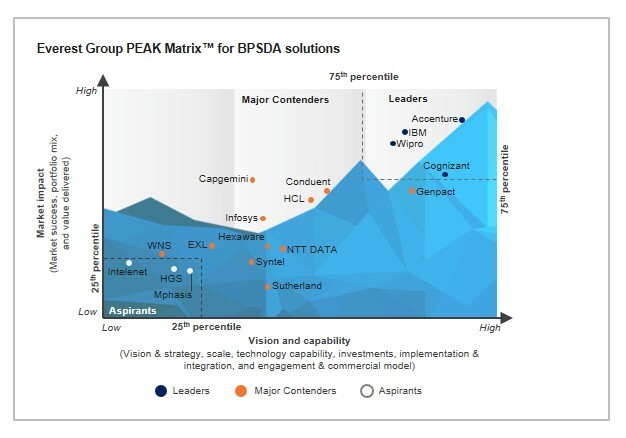 In this research, we present an assessment of 18 leading broad-based BPS providers’ SDA market impact and vision & capability using Everest Group’s proprietary framework, the PEAK Matrix. We also describe the competitive landscape in the market. Lastly, we provide a commentary on key strengths and areas of improvement for BPS providers, with specific focus on automation. This report will assist key stakeholders (enterprises, service providers, and technology providers) understand the dynamics of the BPSDA solution provider landscape. 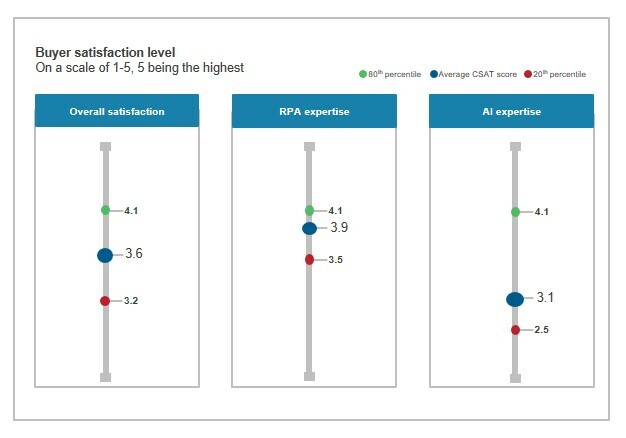 The report provides relative position of service providers on the Everest Group PEAK Matrix for solutions, detailed analysis of the providers’ market shares, capability assessment, and Everest Group’s remarks on service providers highlighting their key strengths and development areas in relation to their automation capabilities.